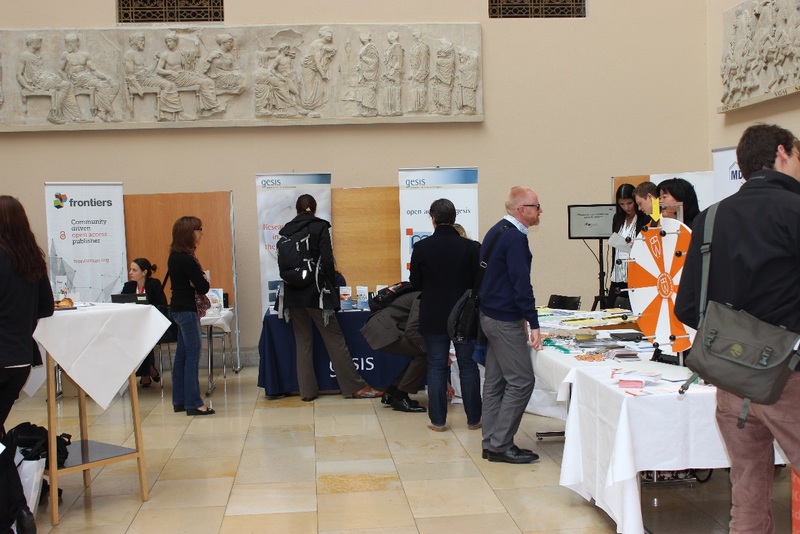 Frontiers had the pleasure of attending The Open Access Tage 2015 on the 7th and 8th of September, this year at the University of Zurich. This German speaking event brings together experts from the Open Access arena, publishing professionals and university librarians from primarily Germany, Austria and Switzerland. Challenges of moving to Open Access and Beyond, Open Data, Open Access funding were a few of the topics covered. How can the transition to Open Access be financially managed? Since the Berlin declaration on Open Access was signed in 2006 public funding bodies increasingly ask researchers to make their research publically available. As the bulk of university library budget is still bound in the so-called “big deals” for subscription journals, different strategies were discussed how to shuffle money towards paying APCs in Open Access Journals. In this context Kurt De Belder, Director of the Leiden University Libraries & Leiden University Press, presented the Dutch way towards Open Access. The Dutch government has declared Open Access a priority, with preference for gold Open Access and a fast and budgetary transition to Open Access. By 2024 100% of articles authored by a Dutch author should be Open Access. Politics (through changes in the Dutch authorship law) and universities (negotiating deals with big publishers to free money for Open Access) work hand in hand to accomplish this goal. As a continuation from Open Access publications, there is also the demand to make research data openly available. This constitutes a new challenge for universities to provide solutions for data repositories. Different repositories and open access publishing systems were presented at the meeting such as Drupal and Open Journal Systems (OJS). Prof. Dr. Rajendran from the University of Zurich presented a new platform for publishing data-driven science called SOSn (Single Observations in Science network) which is about to be launched. How much should Open Access cost? Dr Sebastian Nordhoff from the Language Science Press and Dr Grossmann from Science Open presented their scholar-owned publishing business models. Commercial publishers were criticized for having too high profit margins. Discussions in the audience following Dr Mickus (academicpublishing.net) cost analysis of traditional publishers resulted in estimated cost for maximum 600 Euros/article. Dr Tara Andrews, Assistant Prof of Digital Humanities from the University of Bern pointed out difficulties she has encountered in her research work concerning library restrictions of digital data.